In the 21st century classroom, learning can take place through different learning styles, including those involving physical movements such as dance. 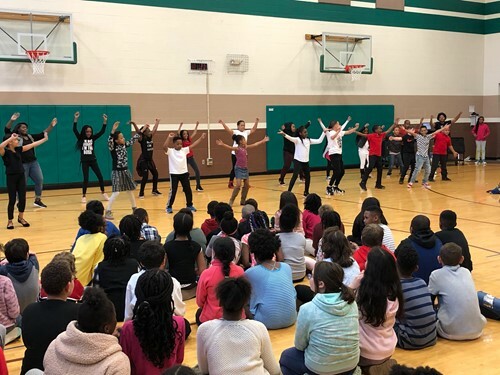 4th grade students from Miss Hunt’s classroom and 5th graders from Mrs. Guzik’s class at Greenview Upper Elementary School, demonstrated this important fact with an impressive set of dance performances in the 4th grade community room on Friday, April 5, 2019. The students were joined by Dezi Marlow, instructor and founder of D.A.N.C.E. Therapy, LLC. 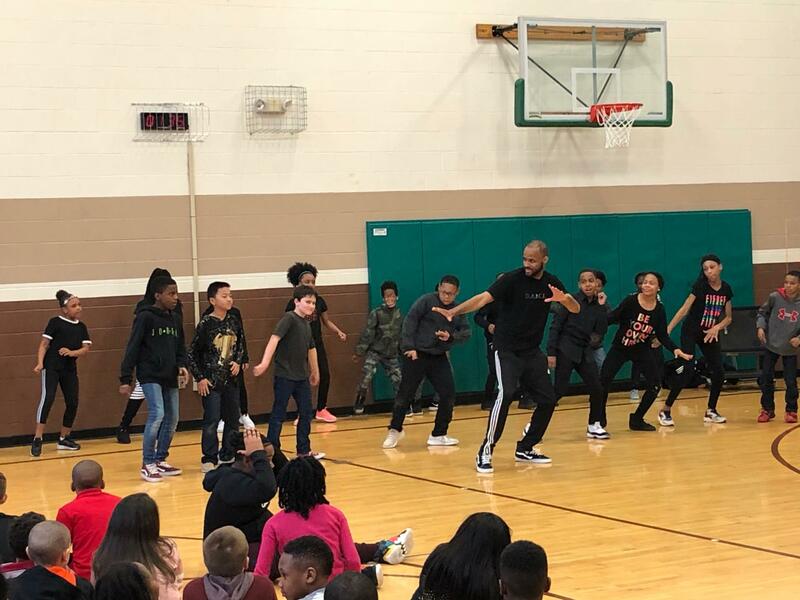 Each classroom showed off their dance moves, both as a group and as individuals, bringing loud applause and cheers from parents and students in attendance. Several students also took the opportunity to share how they learned valuable social-emotional skills and values such as empathy, leadership and acceptance by participating in the educational D.A.N.C.E. program. Greenview students, staff and parents were also treated to a special performance by Destination Dance Crew (DDC), Memorial Junior High’s student dance squad. Congratulations to all participating students for an amazing and inspiring set of dance performances!